Ramayana Tours in Sri Lanka. 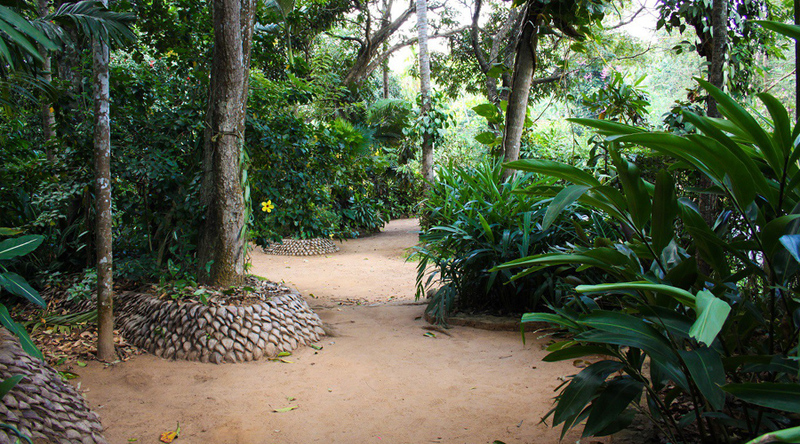 The ultimate spiritual travel experience in Asia We offer you an opportunity to follow the Ramayana trails and visit the most important Ramayana sights in Sri Lanka. These tours are exclusively for religious and spiritual Hindus but also offers an in-depth knowledge of Ramayana heritage in Sri Lanka, for the non-Hindus. Up on arrival you will warmly welcome to Sri Lanka and proceed to Dambulla en route visit Munneshwaram temple &Manavery temple. Overnight stay at hotel – Dambulla. Munishwaram Temple - It is believed that Munishwaram predates the Ramayana and a temple dedicated to Lord Shiva was located here. Munishwaram means the first temple for Shiva (Munnu + Easwaran). A Shiva Lingam was already here when Lord Rama visited this place. Lord Rama after his victorious battle left for Ayodhya with Sita in one of King Ravana’sVimanas. He felt he was being followed by a Bramhaasthi Dosham (a malevolent black shadow) as he had killed King Ravana who was a Brahmin. Manavari Temple - When the Vimana was passing over Munishwaram, he felt the Vimana vibrating, and realized the BrahmaastiDosham was not following him at this particular point. He stopped the Vimana at this juncture and asked god Lord Shiva for advice. Lord Shiva blessed Lord Rama and advised installing and praying at four lingams located at Manavari, ThiruKoneshwaram, ThiruKetheshwaram and Rameshwaram in India as the only remedy to get rid of the dosham. The first lingam was installed at Manavari about 5km from here, near the banks of the DeduruOya. At the Manavari Temple ChilawManavari is the first lingam installed and prayed by Rama and till date this lingam is called as RamalingaShivan. Rameshwaram is the only other lingam in world named after Lord Rama. After breakfast proceeds to Trincomalee & do a city tour in Trincomalee including Tirukoneshwaram temple and hot water wells. Then back to Dambulla. After breakfast proceed to Kandy and do a city tour including temple of the tooth relic. En route visit herbal garden. Overnight stay at hotel – Kandy. Temple of the tooth relic - Sri DaladaMaligawa or the Temple of the Sacred Tooth Relic is a Buddhist temple in the city of Kandy, Sri Lanka. 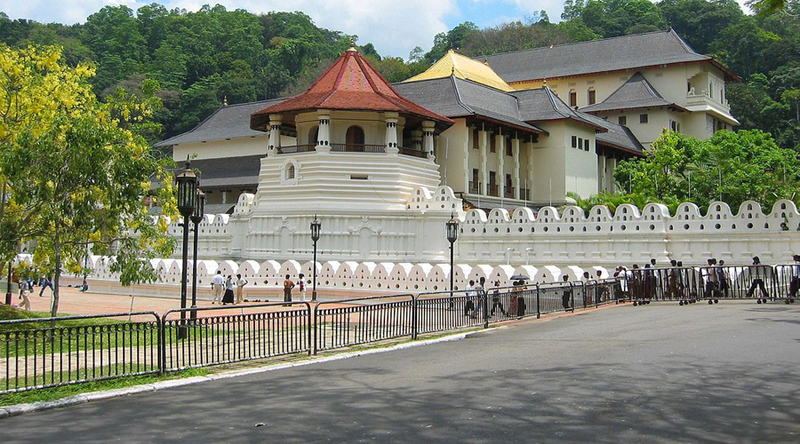 It is located in the royal palace complex of the former Kingdom of Kandy, which houses the relic of the tooth of Buddha. 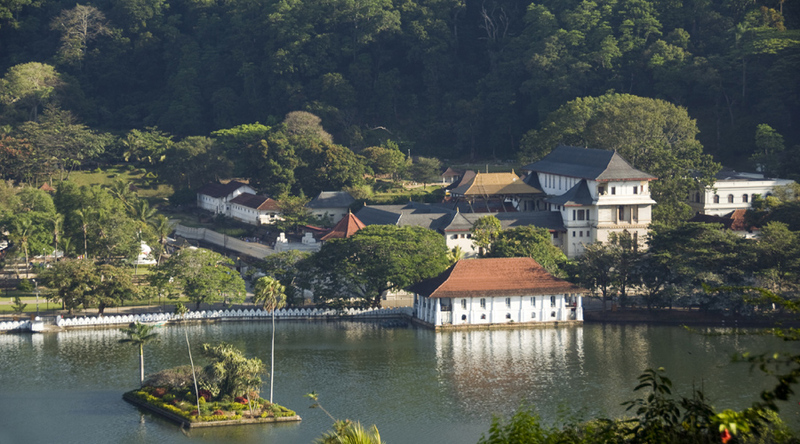 Kandy – Visit vinayagar Temple at Kandy, gem museum and do a Kandy city tour. Kandy is the last capital of the Sri Lankan kings which is a world heritage site. The name Kandy conjures visions of splendor and magnificence. Many of the legends, traditions and folklore are still lovingly kept alive. Drive around the Kandy lake built by the last Sinhala king Sri WickramaRajasinghe in 1806, visit the Kandy town and bazaar, the arts and crafts center and a gem museum and lapidary. 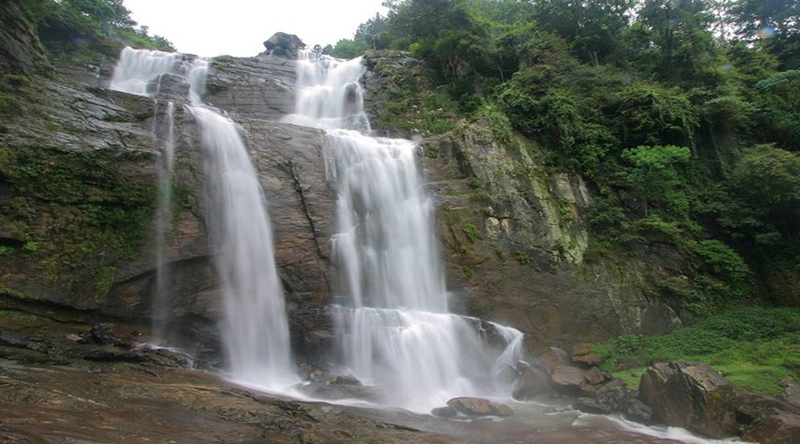 After breakfast at the hotel proceed to NuwaraEliya en route visit Ramboda hanuman temple &Ramboda water fall. Then do a city tour in NuwaraEliya including tea plantation & tea factory. 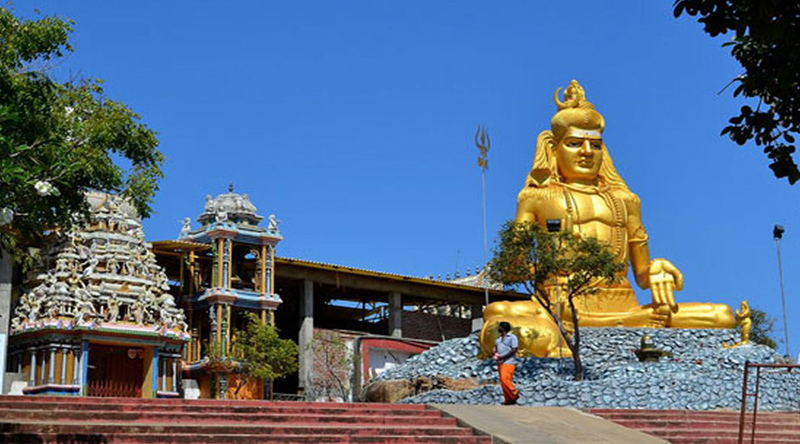 Hannuman Shrine ( HanumanGada ) - which was dedicated to lord Hanuman and its believed to be the place where Hanumman been landed in the country in search of Sitha , can observe a 18 foot hightHanumman statute. Nuwaraeliya - is a town in the central highlands of Sri Lanka with a picturesque landscape and temperate climate. It is located at an altitude of 1,868 m (6,128 ft) and is considered to be the most important location for Tea production in Sri Lanka. The town is overlooked by Pidurutalagala, the tallest mountain in Sri Lanka." The city was founded by Samuel Baker, the discoverer of Lake Albert and the explorer of the Nile in 1846. NuwaraEliya's climate lent itself to becoming the prime sanctuary of the British civil servants and planters in Ceylon. NuwaraEliya, called Little England. For a picturesque stroll, stop by the well-maintained Victoria Park or head for Gregory’s Lake, which is located just south of the town. You can also hire boats here also visit the international Golf and race courses and proceed to Sithaeliya witness the legendry Sitha Amman temple in the AsokeVathika( Ashoke forest ) and visit Gayathri amman temple also. After breakfast proceed to Ella. En route visit Diurumpola temple in Welimada. Then proceed to Ella and visit Ravana cave temple. Then back to Colombo. Divurumpola Temple - Still revered by thousands, this holy haven was the place where Sita performed her Agni Pariksha (proving her chastity) to her husband Rama. Continuing the practice for thousands of years, villagers still pledge their fidelity or take oaths there and even in certain courts, this agreement was binding. This place has been respected and worshipped by people down the ages. Ravana Cave Ella- is a small mountain village near Bandarawela and boasts three locations linked to the Ramayana where local legend claims Ravana was hiding Sita. First there is the Ravana Ella Cave, located at the massive Ella Falls; a breathtaking 1080 feet high waterfall that cascades into several falls. The rocky undergoes of the waterfall is Khondalite, a kind of limestone which undergoes faster decay as hard gneiss or granite. This has resulted in many caves being formed near the falls. King Ravana is said to have lived in one of the caves above the waterfall. A nearby pool bored out of the rock by the gushing waters is where Sita is said to have bathed Ravana. After breakfast do a city tour including PanchamugaAjanyear Temple and Vibishana temple. Evening do a shopping tour. Overnight stay at – Colombo. Panchamuga Ajanyear Temple - This is the first Anjaneyar Temple in Sri Lanka and also the only Panchamuga (five faced) Anjaneyar Temple in Sri Lanka. Its the only temple in the world to have a chariot for Ajanyear. Colombo - the commercial and business center of Sri Lanka located on west coast. The city blends together with old colonial type building, high-rise commercial buildings and hotels. It is filled with shopping malls, airline offices bazaars and interesting tourist attractions. Some of the finest structures built during the colonial times still preserved in one part of the City. During the city tour visit BMICH, Colonial style Town hall,old parliament complex replica of Aukana Buddha statue, Galle face green, PanchamugaAnjaneyer Temple ect later do a city shopping. After breakfast. Proceed to airport for departure. - Transportation in a pvt air conditioned vehicle. - City tour of Colombo. 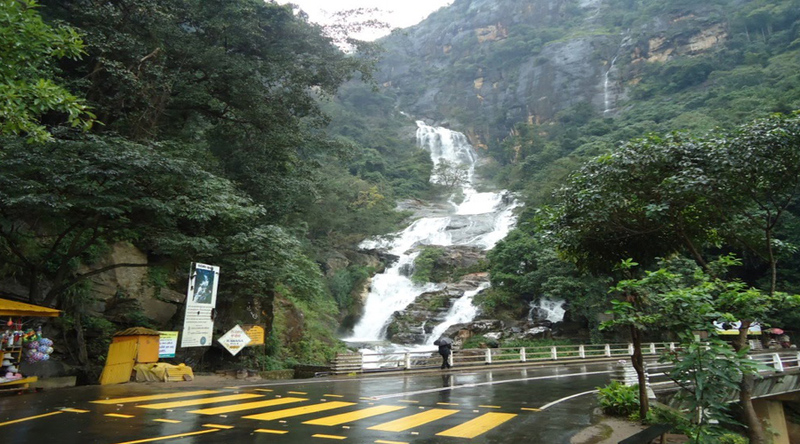 - City tour of Kandy/ NuwaraEliya/ Dambulla. - Daytrip to Trincomalee and visit. - All entry fee as per above program. - Government Tax (VAT 15%). - 5% Discount voucher to shop at ODEL dress boutique in Colombo.